Turkeyâ€™s aggression against Russia complicit with Washington remains foremost on my mind - two rogue states posing major threats to world peace. Their actions speak for themselves. Ergodan would never attack Russia on his own. Washington likely planned and orchestrated what happened. He was the triggerman, a fascist dictator destabilizing the region along with destroying fundamental freedoms at home. More on his homeland repression below. Most important is his alliance with US-dominated NATO - a rogue killing machine threatening world peace, waging one war after another, raging in multiple theaters, notably in Iraq and Syria. Southeastern Turkey borders the Syrian Republic, Iraq and Iran. Erdogan wants part of northern Syria incorporated into Turkey - a hoped for land grab on the pretext of establishing a safe zone for nonexistent â€œmoderateâ€� rebels. Thousands of heavily armed Turkish troops are massed on Syriaâ€™s border. Invasion may follow if Washington OKs it after Erdogan replaced Chief of General Staff General Necdet Ozel with regime-supporting General Hulusi Akar. Downing Russiaâ€™s aircraft ups the stakes for greater war, ruining chances for diplomatic conflict resolution - Washingtonâ€™s plan all along, Erdogan going along for his own self-interest, a rogue leader running Turkey despotically. Turkey supplied and may continue supplying ISIS with toxic sarin gas to commit terrorist attacks, falsely blamed on Assad - including the notorious August 2013 Ghouta incident, killing and injuring hundreds of Syrian civilians in the Damascus suburb. Evidence shows ISIS and other takfiri terrorists in Syria used chemical weapons numerous times before. US, Turkish and Saudi Arabian dirty hands were involved - Assad set up to be a fall guy irresponsibility. No proof of Syrian involvement in chemical weapons use exists since Obamaâ€™s war began in March 2011. While ongoing, Assad destroyed his entire chemical weapons stockpile, working cooperatively with the Organization for the Prohibition of Chemical Weapons - certified by OPCW. Phony claims about him retaining supplies persist. Erdogan is a megalomaniacal threat to global peace and stability, especially after recklessly downing Russiaâ€™s aircraft - an act of aggressive war by any standard, Washingtonâ€™s dirty hands orchestrating things covertly behind the scenes. says a retired US Army General. The shooting down of a Russian aircraft near the Syrian border was in line with Ankaraâ€™s struggle to establish itself as a â€œdominantâ€� power, retired US Army Major General Paul Vallely said Thursday. Vallely said Turkey must be removed from NATO because it poses a â€œbig and important issueâ€� in many ways for other members. â€œI think NATO, if they have any resolve, they would oust Turkey out of NATO because they are not cooperating against ISIL, they are not cooperating at all with some of the forces inside of Syria, and they want to see [Syrian President Bashar] Assad removed or replaced by another government,â€� the retired General told Russia's RT. Holly's quote.â€œI think NATO, if they have any resolve, they would oust Turkey out of NATO because they are not cooperating against ISIL, they are not cooperating at all with some of the forces inside of Syria, and they want to see [Syrian President Bashar] Assad removed or replaced by another government,â€� the retired General told Russia's RT. 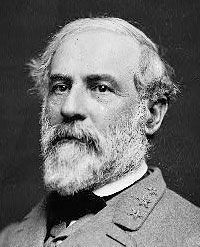 The general is retired therfor he can speak his mind. The brass knows if they speak out, they're out. The ADM (elites), its our way or the highway. www.commondreams.org/.../generals-opposing-iraq... - The retired generals beseeched old friends in powerful positions to use .... quite surprised to see so many speaking out against the Iraq war. PS: Russia took out 472 terrorist locals in 48 hours ,,& oil facility's. worth of black market ISIS oil sales to date. Once Russia stepped into this Game of WAR in The Middle East---NOW the Game is underway---and it is Hard to Beat Russia---just as Hard as it is to beat The USA! Turkish President Recep Tayyip Erdogan told CNN International his country will consider it an act of aggression if Russia takes down a Turkish plane violating Syrian airspace. â€œIn this case Turkey will be forced to take measures that will certainly not be discussed. And of course it would be an aggression against our rights of sovereignty and itâ€™s the natural right of the state to protect those rights. We do not want to see any escalation of the situation in the region. We do not want to become a party to that. But those who side with Syria and escalate the tension, I think, are the responsible parties to this,â€� Erdogan said. The downing of a Russian SU-24 on Tuesday by NATO member Turkey changed this and â€œnow the safety of Russian fleetâ€™s planesâ€¦ will be ensured by more secure means,â€� he said. Russian President Vladimir Putin said Thursday during a news conference the United States knew the flight path of the aircraft shot down by Turkey. â€œThe American side, which leads the coalition that Turkey belongs to, knew about the location and time of our planesâ€™ flights, and we were hit exactly there and at that time,â€� he said. He said Russiaâ€™s military had passed on flight details to the Americans. Putin then indirectly accused the US of colluding with Turkey to shoot down the plane. â€œWhy did we pass this information to the Americans? Either they were not controlling what their allies were doing, or they are leaking this information all over the place,â€� he said. Turkey is a mere vassal state, the eastern arm of NATO, which is the European arm of the Pentagon. The Pentagon already issued a denial â€” which, considering their spectacular record of strategic failures cannot be taken at face value. Plausibly, this might have been a power play by the neocon generals who run the Pentagon, allied with the neocon-infested Obama administration. Here's Erdogan's warped reasoning in a nutshell. The Paris tragedy was a huge setback. France started discussing close military collaboration not within NATO, but with Russia. Washington's unstated aim was always to get NATO inside Syria. By having Turkey/NATO â€” clumsily, inside Syrian territory â€” attacking Russia, and provoking a harsh Russian response, Erdogan thought he could seduce NATO into Syria, under the pretext (Article 5) of defending Turkey. that the entire sane world is asking and praying for! Turkey. Saudi Arabia. Your time is up. It's not an infowars headline, but it does not reflect what Erdogan is reported to have said in the article, but it is the narrative we see being pushed, which is quite revealing. The US gave the info to the Turks, who then lay in wait and shot down the plane in what Lavrov called a 'planned provocation'. One wonders what they hoped the Russians would do. What is clear is that Putin is spoiling their plans and he needs to be stopped by any means. Both the Paris attacks and the Russian airliner attack are both means to this end since they have enabled the French, British and US to justify further airstrikes in Syria, which will be targeting Syrian oil and civil infrastructure, with the intention of turning it into a failed state. The British are having a vote in parliament next week on authorising bombing in Syria, a vote which would not have happened were in not for the Paris attacks. The last phrase from the Russians 'no need of any coalition, any country', this means that Putin and Assad will probably declare a no fly zone for any aircraft from any country not authorised by the Syrian government, within range of the S400s in Latakia. And they will be within their legal rights to do so. From here there is a realistic path to a wider and much more serious conflagration, where the no fly zone is violated, and Russia shoots down some aircraft, then the logical move from NATO is to push the Turkish armour over the border into Syria, possibly met with the threat of tactical nukes from Russia. All the above is pretty obvious stuff, so if Turkey or anyone else attempts to shoot down another plane, the above chain of events is what they want. powers in NATO, and bring them to their senses. it is being driven by the muslim leanings of Obama. Russia wants to take over the whole nation of Turkey. They want to drive her out completely and take over that region! There are many reasons, but the biggest two are that they want access to the Mediterranean Sea for military purposes. They also believe as most nations did in history that when they can conquer Turkey, they will have better access to European countries through Istanbul (in 1930 city name was changed from Constantinople to Istanbul). All of Europe will be behind Russia when this happens. No one will come to the aid of Turkey. Watch what happens in the future--when Turkey is no longer a nation, she will flee and try to set up her kingdom in Jerusalem. Soon after, perhaps within hours, probation will close for this world. Most of you won't believe this but when you see this happen, you may remember what was said here. Do not delay to make your peace with God. Don't tell me..Bush 1&2, Clinton (both) are Muslims too, right? It was probably Muslims who killed JFK too..
haha you're on a roll! Was this a bad head day? I guess we should all be grateful that this is not JacksonHollyland.. The people were convinced Bin L and his crew pulled of 911, the Invasion of Afghanistan began..Rather than get the facts or at least question most folks bobbed their heads, wiggled the flag and went along. ( My opinion had they wanted Bib L he would have been waked out post haste). But the plan was not one nation nor just Binny, it was multiple. Bottom line, the citizens were hysterical, FEAR is CONTROL..
All of you folks know the invasion of Iraq was a set up, the terror factor initiated-WMD's kept the masses in fear, despite the fact no WMD's existed the GP didn't raise hell. The casualty's were ignored, our troops nor the innocents slaughtered. I won't continue a rant all you guys know this, what hasn't been mentioned & may not be of relevance is this entire territory was once the Ottoman Empire till about the 1920's. I only mention this for one reason, Empires are destined to fall..As so will this NWO, the price paid will be in blood of the innocents and allways has been. History is repeated, the same record over and over, the shadow powers and their minions of sucklings are well versed in regards to mankinds history and human nature, they have been at this game for millenniums. Peace on earth, goodwill to men, the true power detests this phrase and most certainly consider the people morons incapeable of perceiving their game plan. On subject, Russia was backed into a corner as was France, can we speculate as to the insiders knowledge of these attacks, you bet we can. "Sputnik": New Serbian ambassador in Saudi Arabia mufti Jusufspahić Jr. thinks that Turkey did not decide alone to shot Russian airplane. "Turkey is a NATO member. I do not know where the orders are coming. Things are logical, things will change when anyone on either side of the first think about God"
Did they off the pilot yet......deep six the guy or just shred the info. They know, and so does Putin. Holy crap this is bad. ISTANBUL â€” Turkish fighter jets shot down a Russian warplane near the Syrian border after it violated Turkish airspace on Tuesday, officials said. The Russian jet was warned 10 times in five minutes before being shot down, according to the Turkish air force. Syrian fighters on the ground and Turkish sources told NBC News that the Russian jet's pilots ejected and landed in an area north of Latakia, Syria, that is controlled by rebels fighting to topple President Bashar Assad. Russia has an air base in Latakia which is used to launch bombing raids targeting Assad's foes â€” including ISIS. Russia's Defense Ministry was not immediately available for comment. According to Russia's Defense Ministry, there are 69 warplanes based in Latakia. Russian planes have run thousands of bombing raids in Syria since Sept. 30 when the Kremlin announced it would start targeting ISIS. However, U.S. officials say many of the strikes appear to be hitting areas where ISIS doesn't have a presence. Russian President Vladimir Putin ordered his air force to step-up bombings after a passenger plane crashed in Egypt's Sinai on Oct. 31, killing all 224 on board. On Thursday, ISIS claimed it brought down the Metrojet plane with an improvised bomb. My name is Recep T. Erdogan. I was the president of a democratic secular Republic of Turkey. I ordered to change the democratic constitution to become president and Sultan. I ordered the shooting down a Russian fighter jet in Syria that was bombed Islamists. The killing of a Russian pilot was not provoked by President Putin to retaliate in kind and start a WW3 (Turkey is a NATO member). However, Putin struck Turkey on the "wallet". That's hurt. So I thought today to apologize to the family of murdered pilot and Putin and then it will again be as it was before. Will Putin "buy" my "apology"? 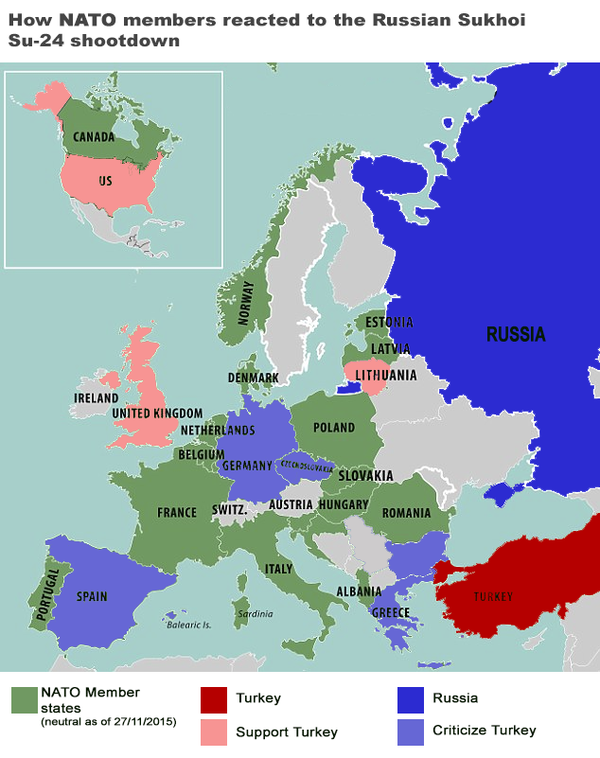 turkey has always been a golem as well as ussr/post-soviet russia. 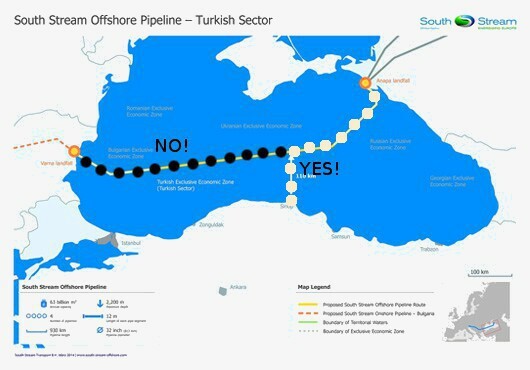 You mean "Turkish stream" ? should be 'south'. pipeline through black sea. Turkish pilot who shot down Russian warplane will become "scapegoat" in purpose to Erdogan`s try to reconcile with Russia ? 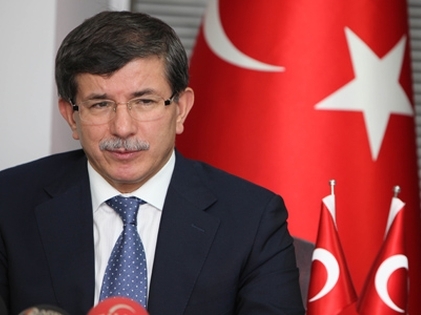 My name is Ahmed Davutoglu. I was Turkish PM. I ordered to shoot Russian jet. I am killer. I was bring mankind to edge of WW3. Will someone do something against me? 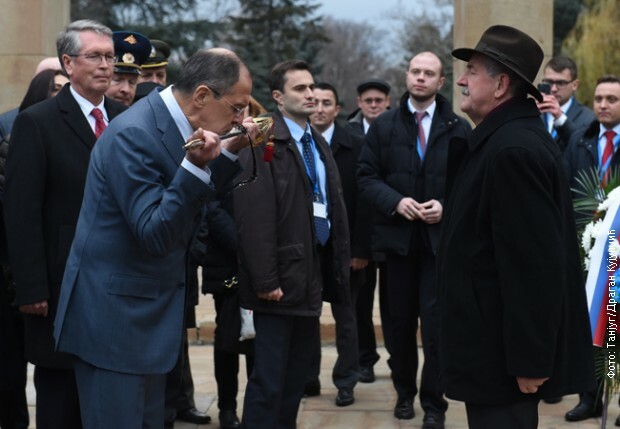 Yesterday in Belgrade, Serbian retired Army Lt. Col. Butolen handed Russian FM Lavrov, Serbian sword with gold intended for the family of murdered Russian pilot Oleg Peskov. At sword writes: "fidelity to the homeland, brother, thank you for sacrificing yourself to light our roads"